Our popular annual Good Friday Wine and Cheese Twilight Train is running again. 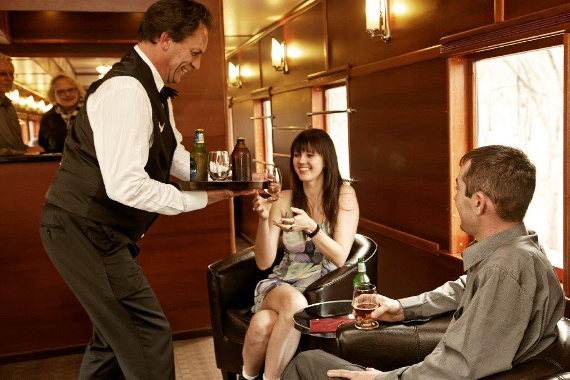 First class service in our wonderful art deco club car Macedon and our Edwardian parlour car Tambo. *As it is a first class train places are limited so we advise you to book early. *A feature is our offering of a range of locally produced beers, wines and ciders to enjoy with your included cheese platter. 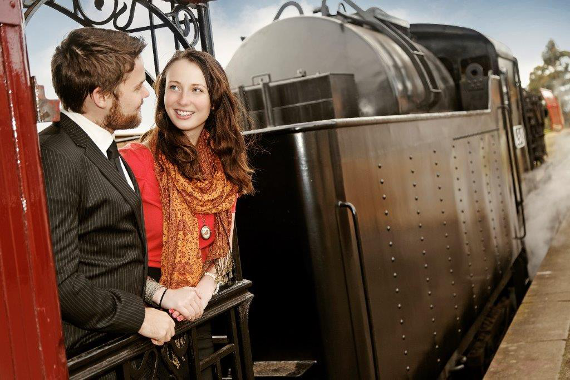 What better way to spend the evening with your partner or friends than with a glass of wine, a cheese platter and live entertainment all on board our luxury steam train. Travel in style as we take you on a leisurely twilight journey through the countryside. The Wine and Cheese Express departs Maldon station on Good Friday 30 March 2018 at 7.30pm. After a short break at Castlemaine we return you to Maldon by 10.30pm. A delectable cheese platter for two is included in the fare and our stewards will offer you a selection of local beers, wines and ciders at bar prices.